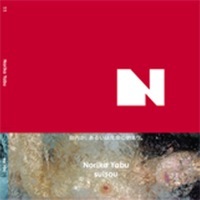 Noriko Yabu was born in Kagawa Prefecture in 1981. 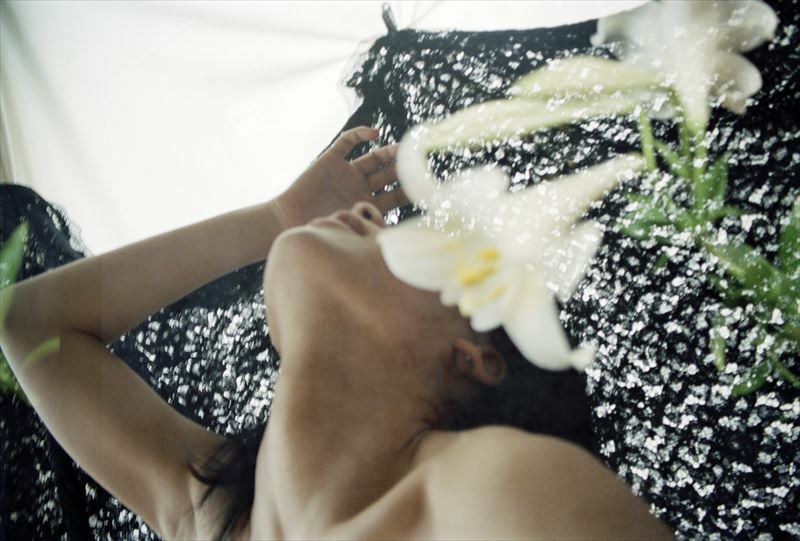 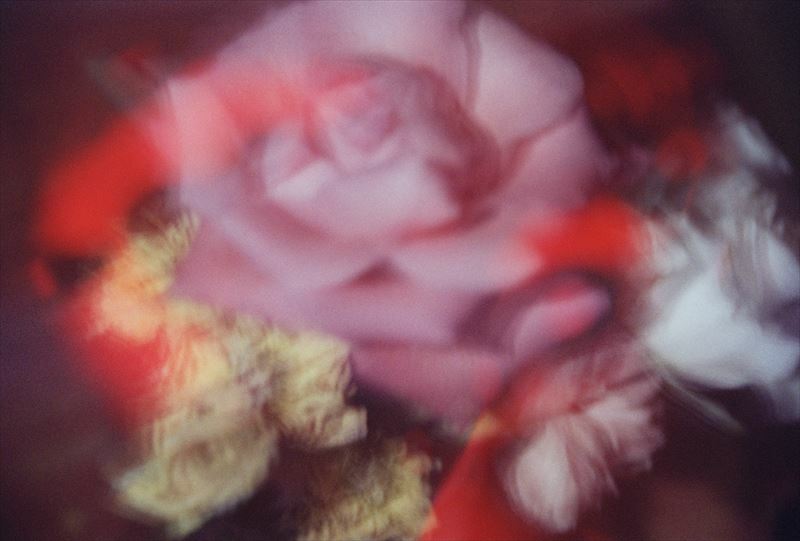 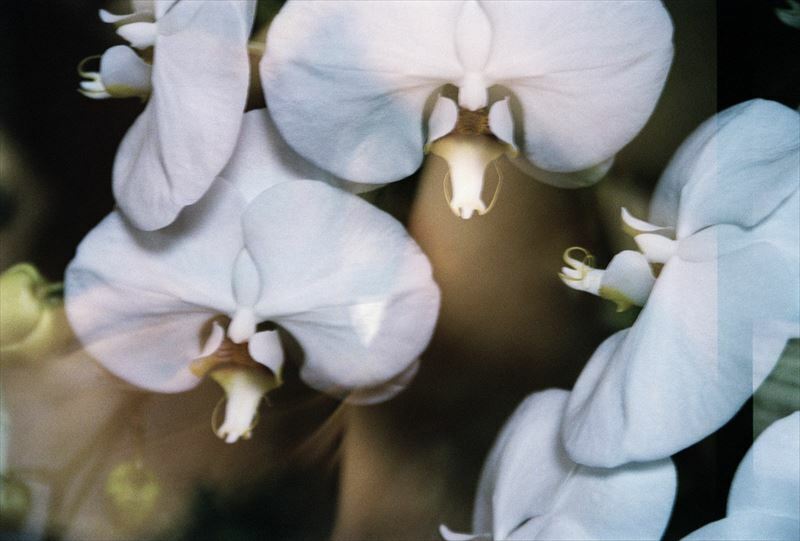 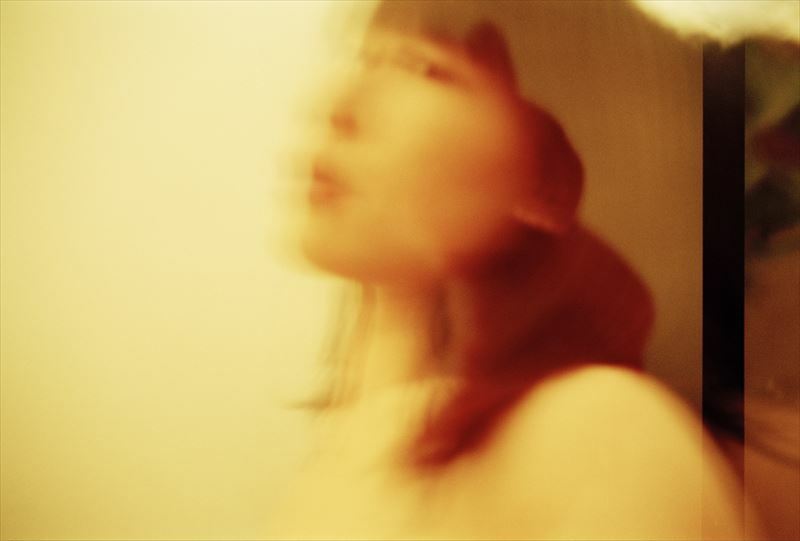 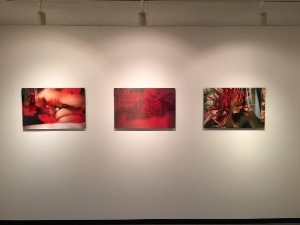 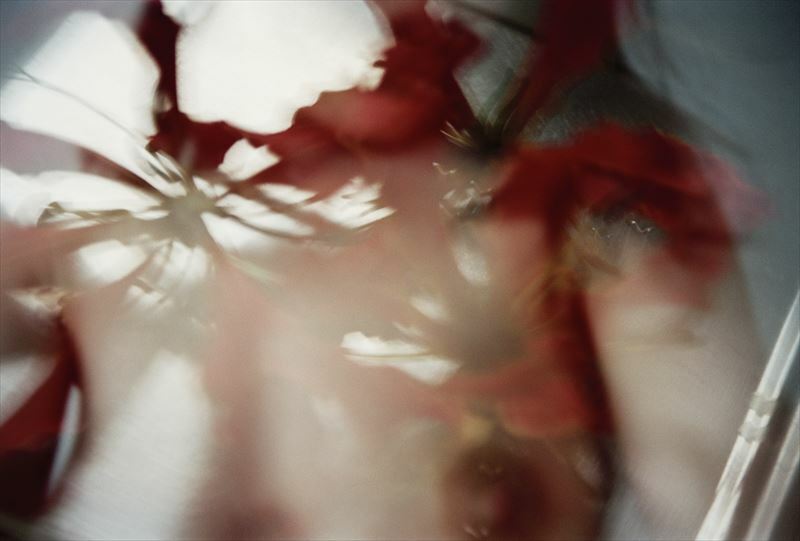 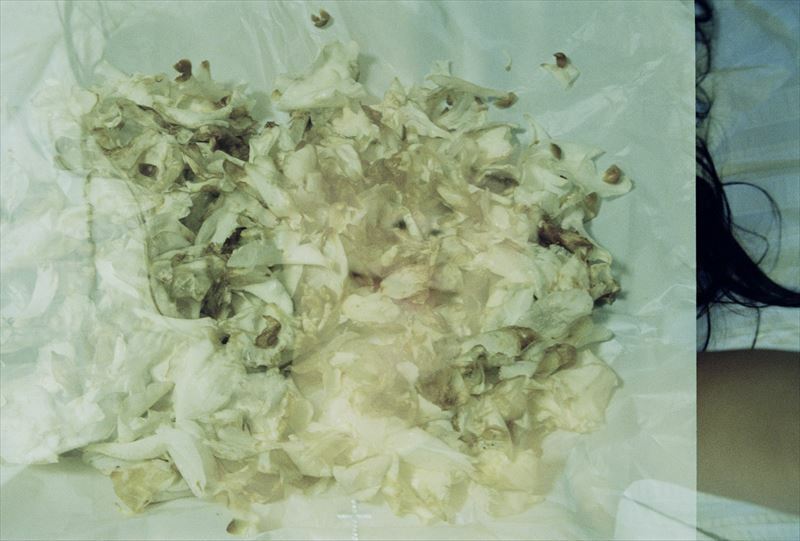 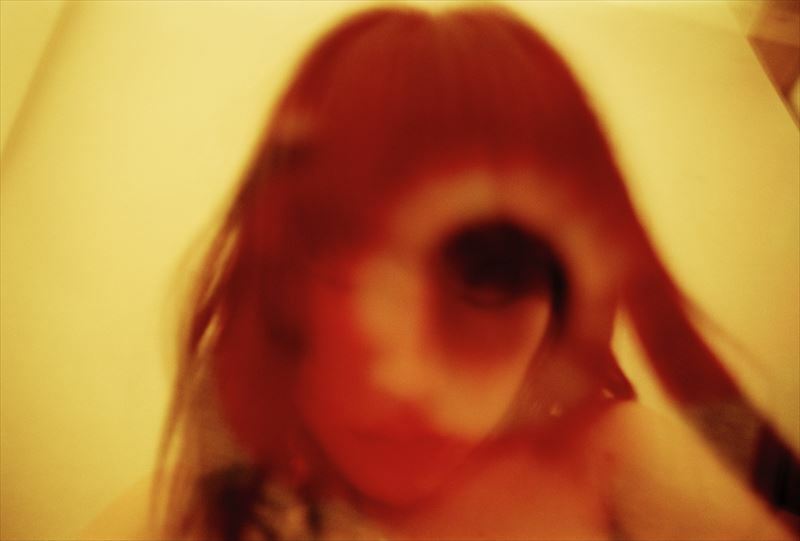 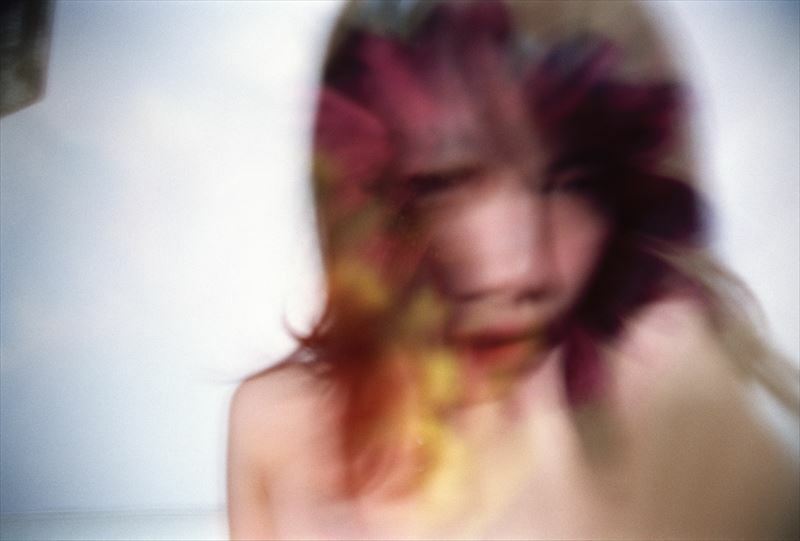 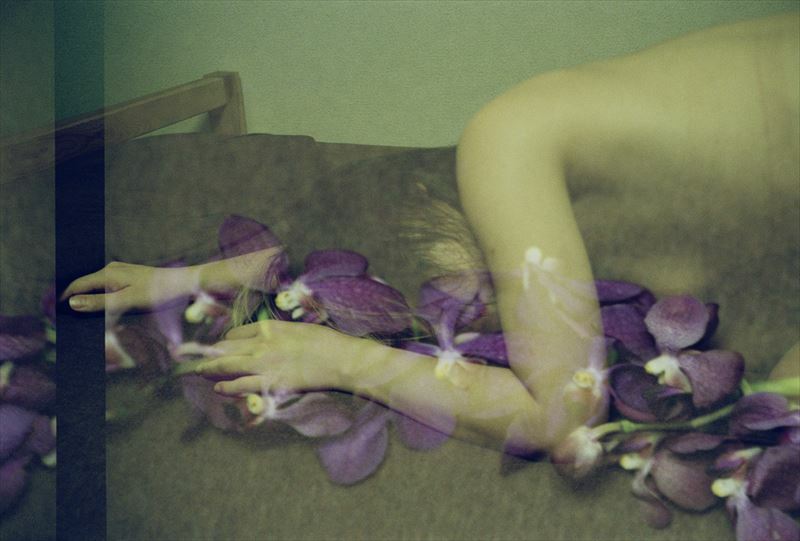 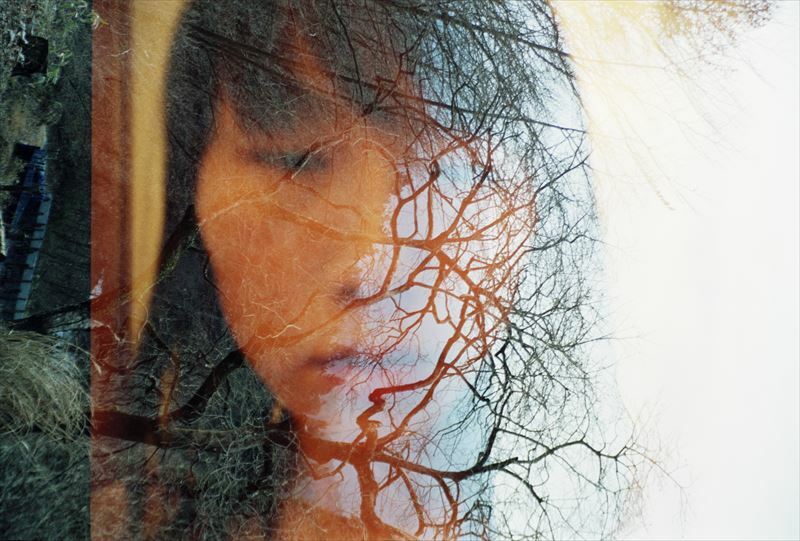 While a student at Waseda University, she started taking photographs under the tutelage of Osamu Hiraki. 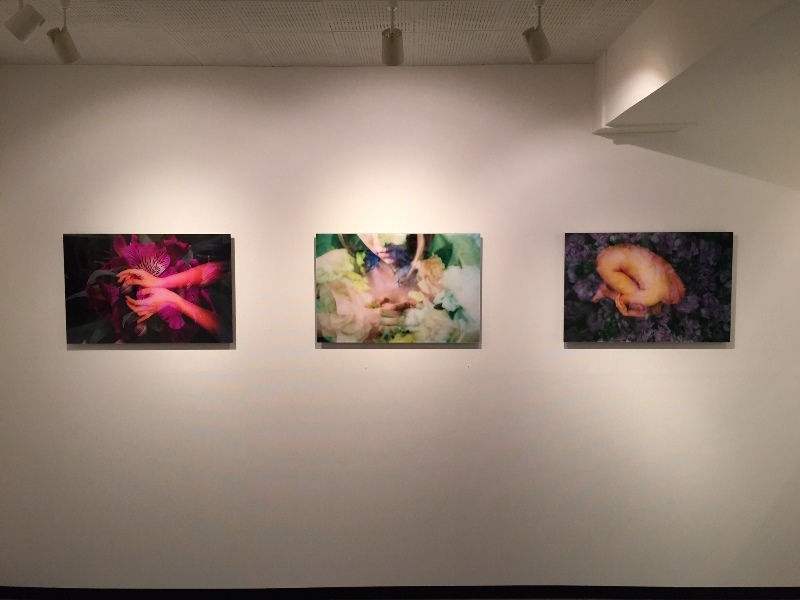 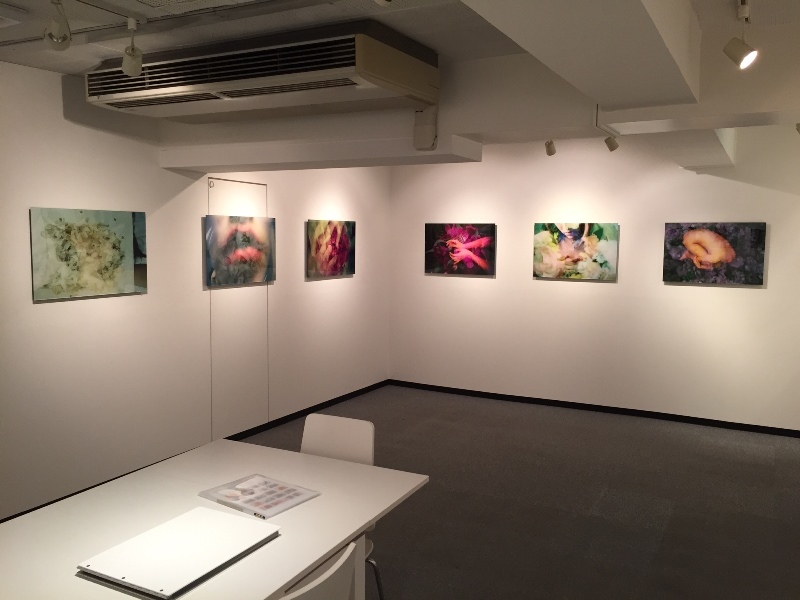 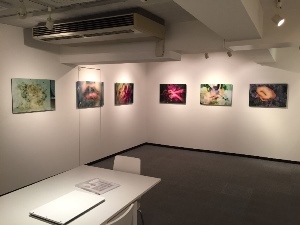 Working as a volunteer staff member at the Higashikawa International Photo Festival, she vowed to continue producing works as a photographer. 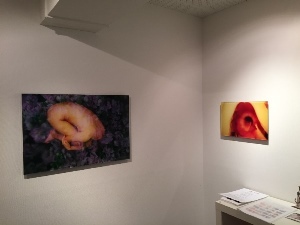 The following year, she entered the Graduate School of Fine Arts at Tokyo University of the Arts majoring in Intermedia Art and studying under Tokihiro Sato. 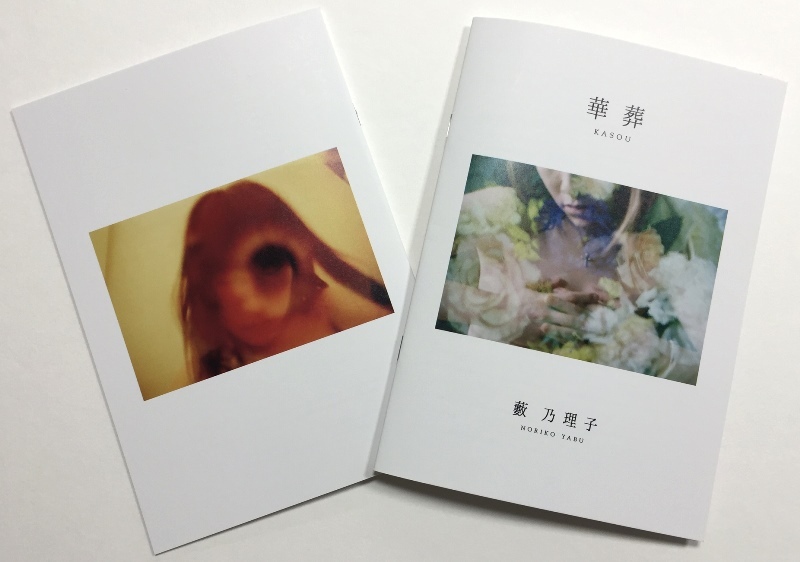 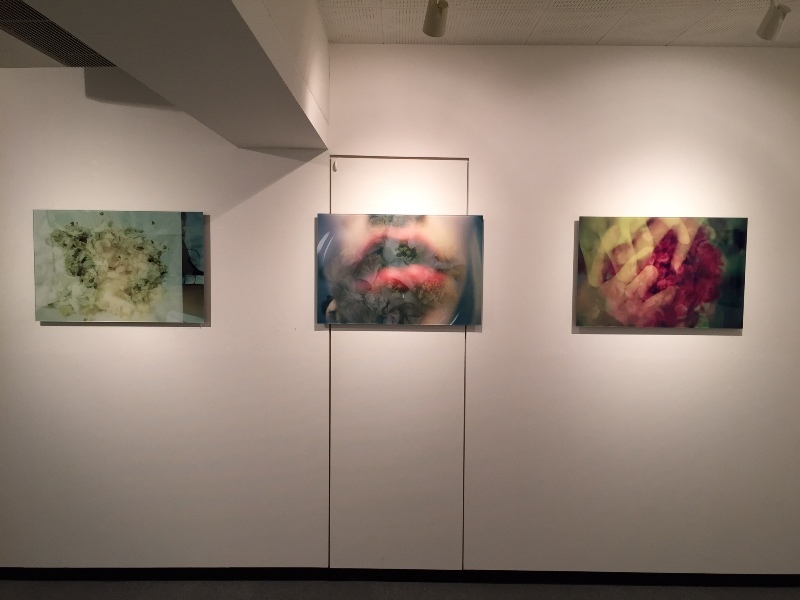 After graduating, she started working with the expression of the self-portrait, releasing the “suiso” (trans. 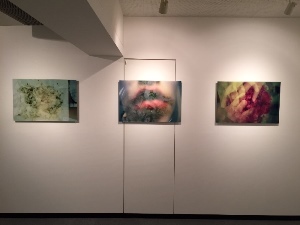 “water burial”) series in 2014, and now this current exhibition “kaso” (trans. 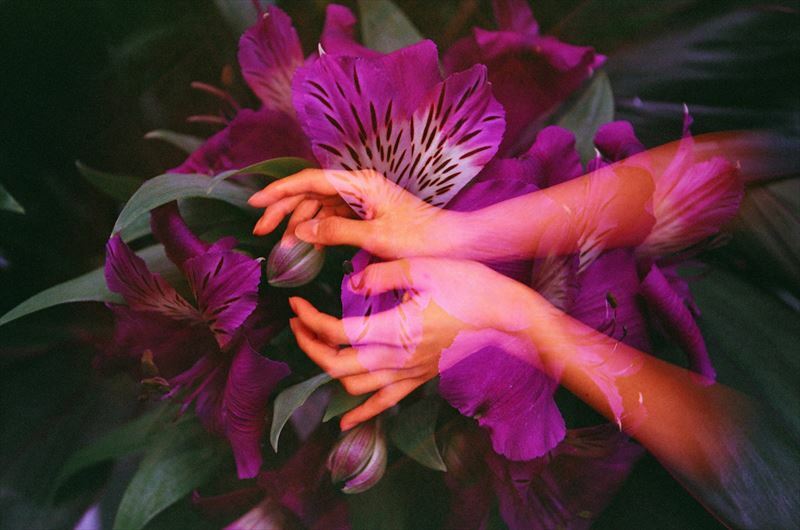 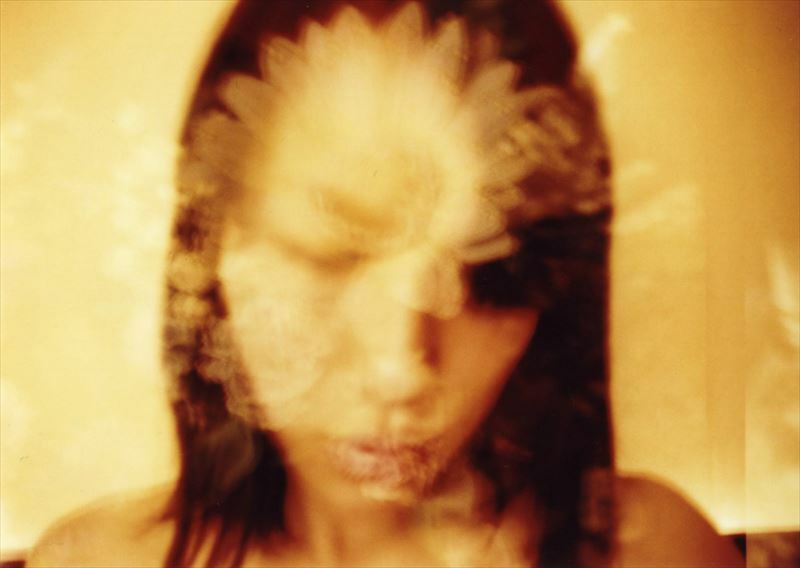 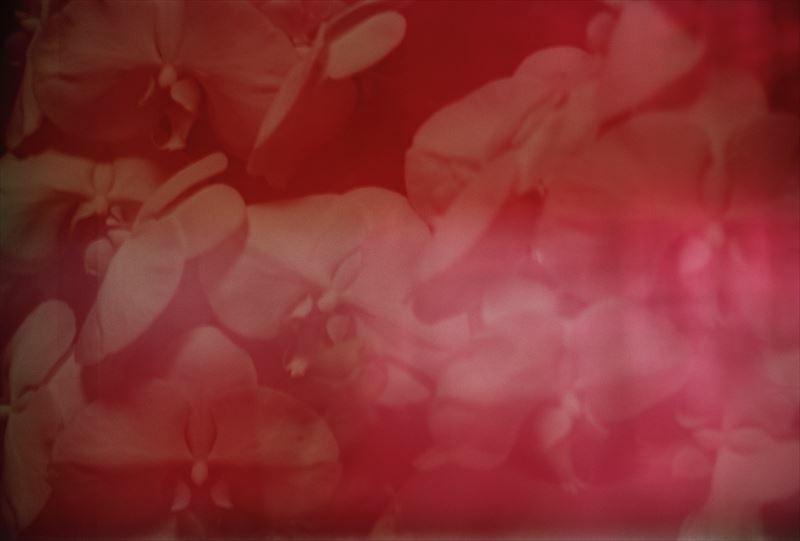 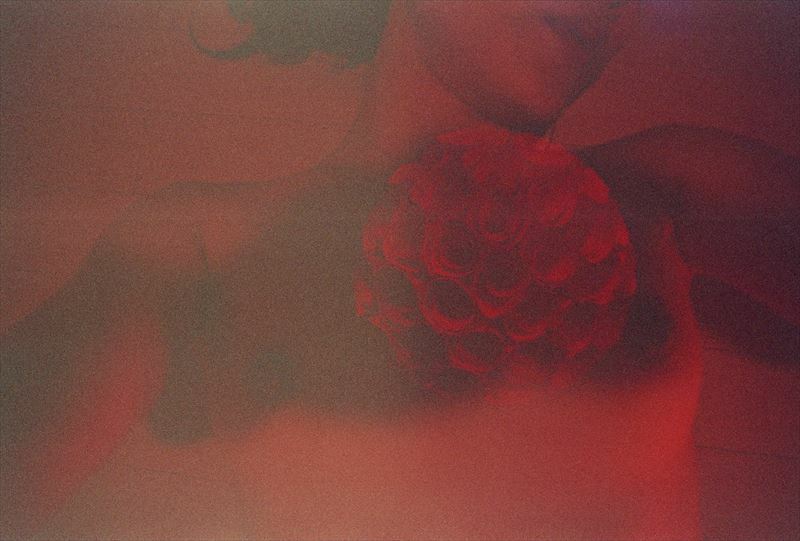 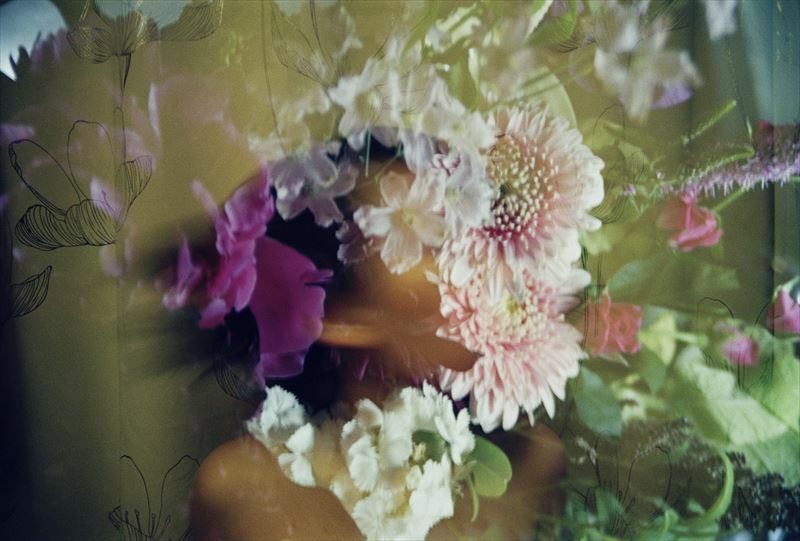 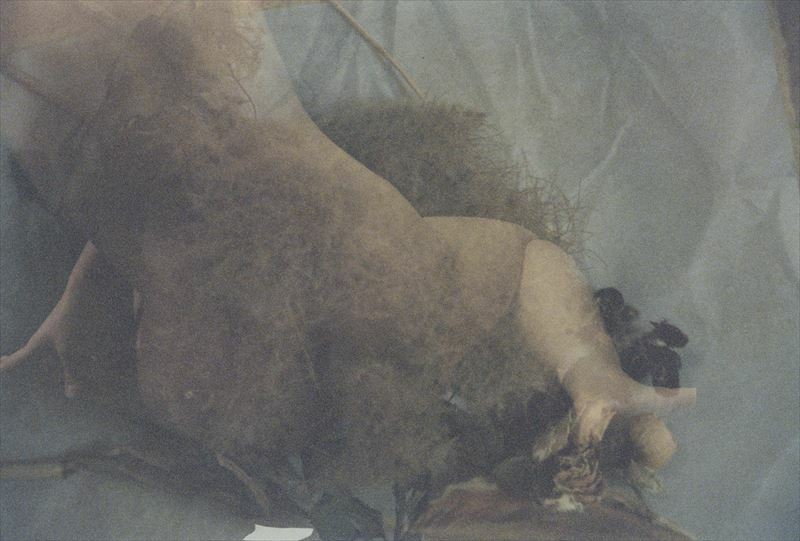 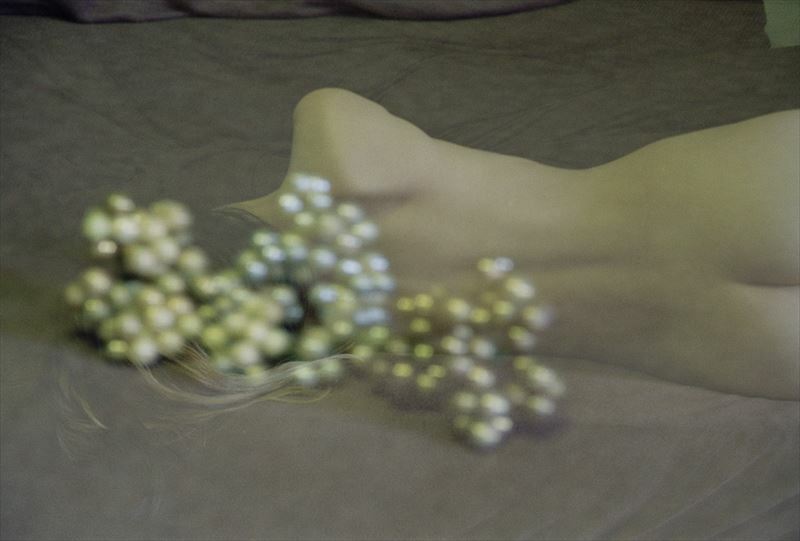 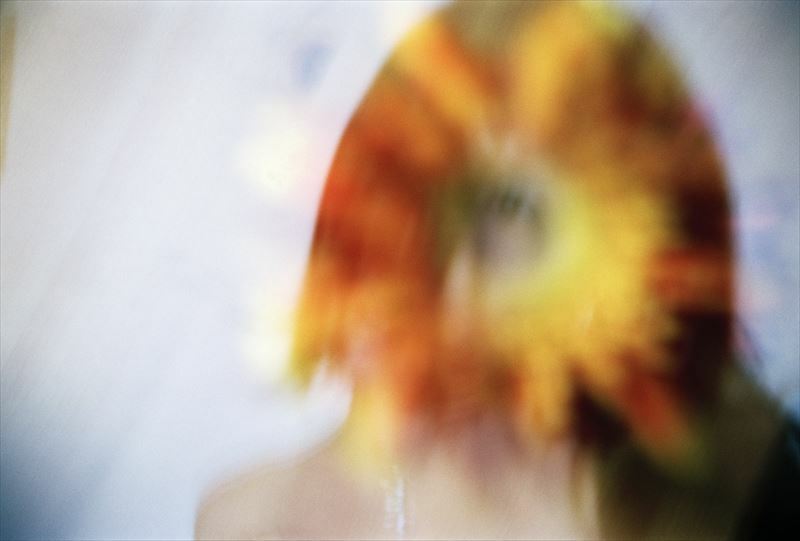 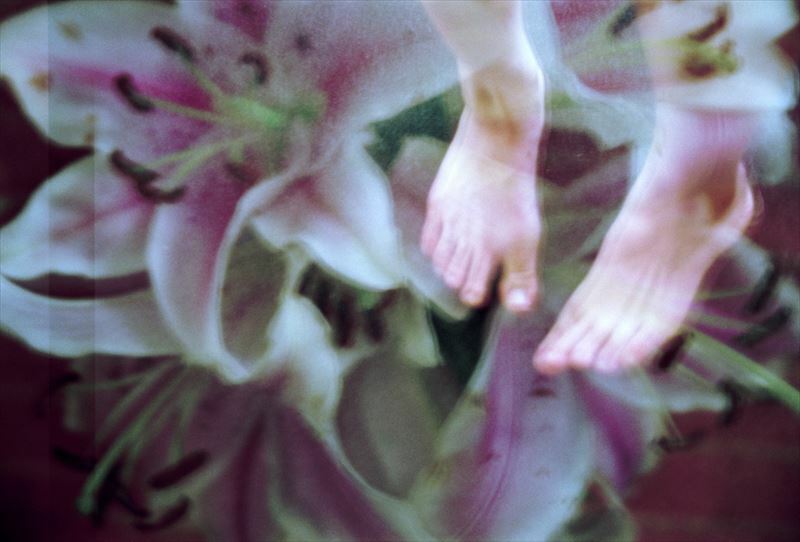 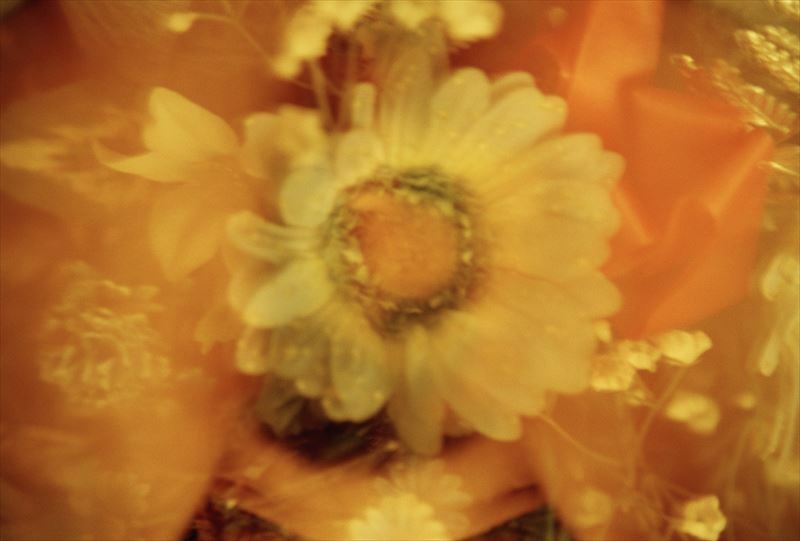 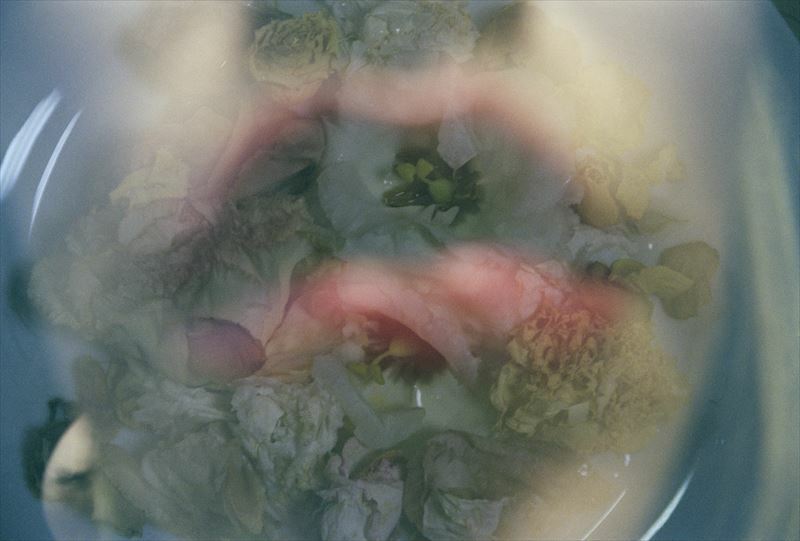 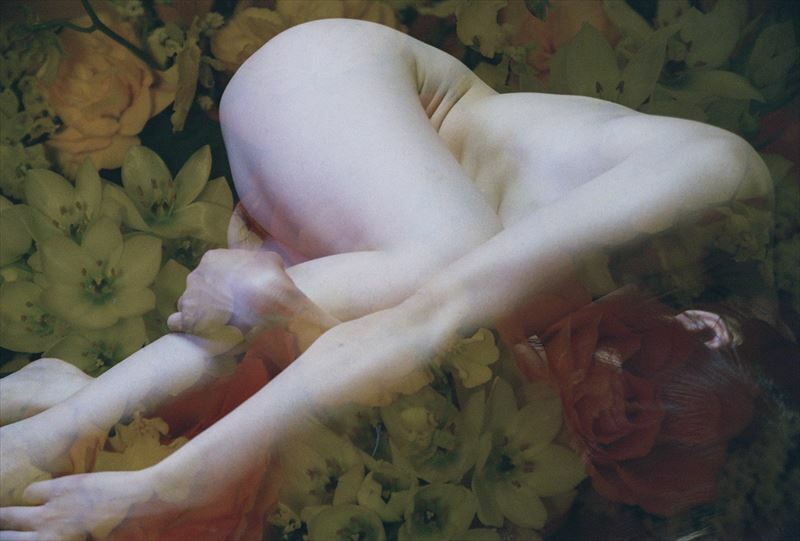 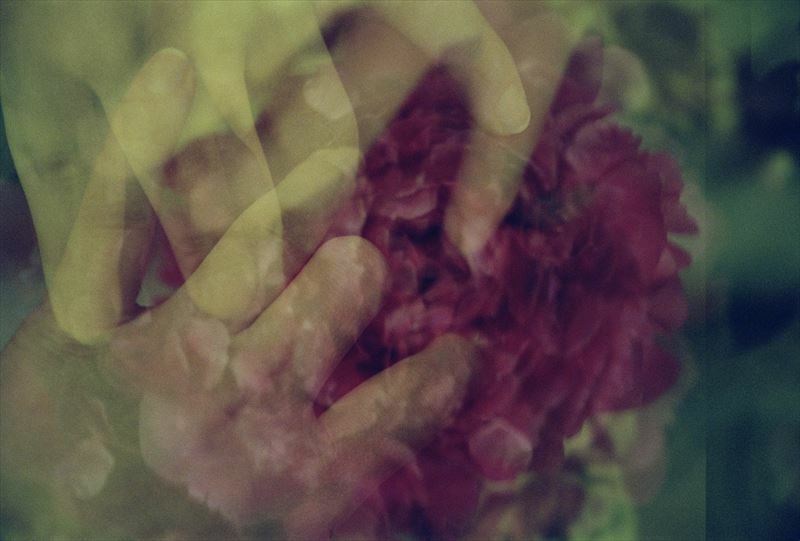 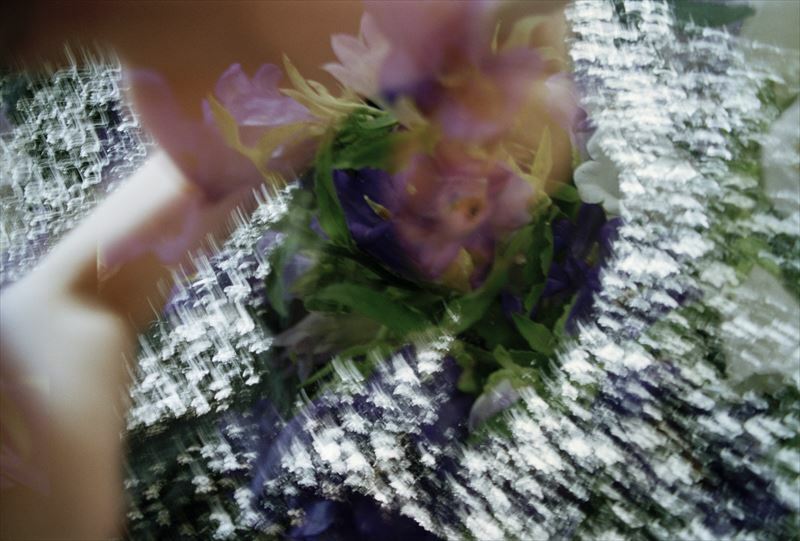 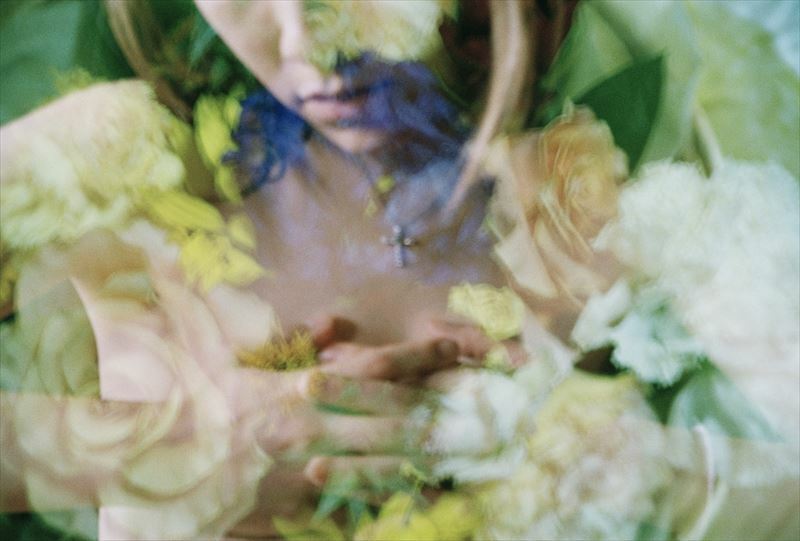 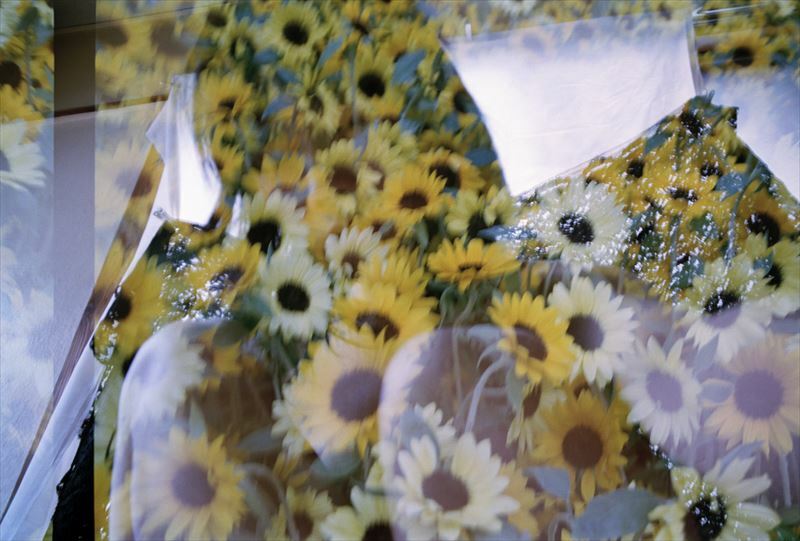 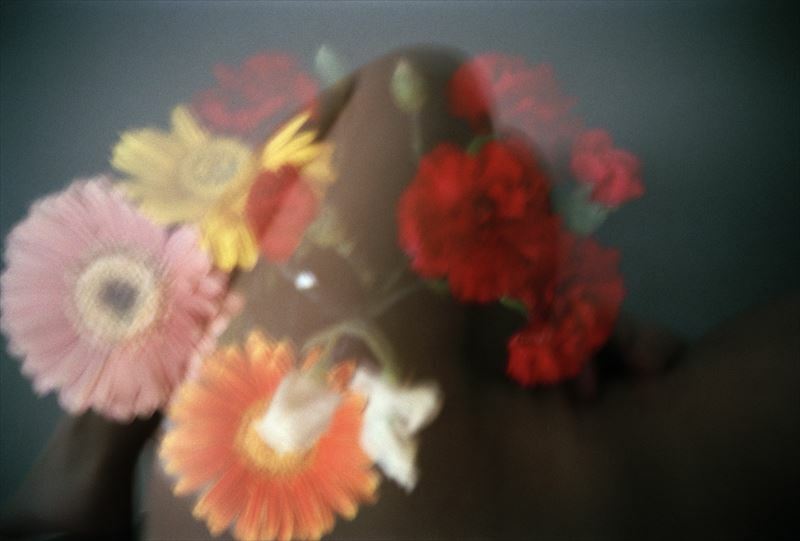 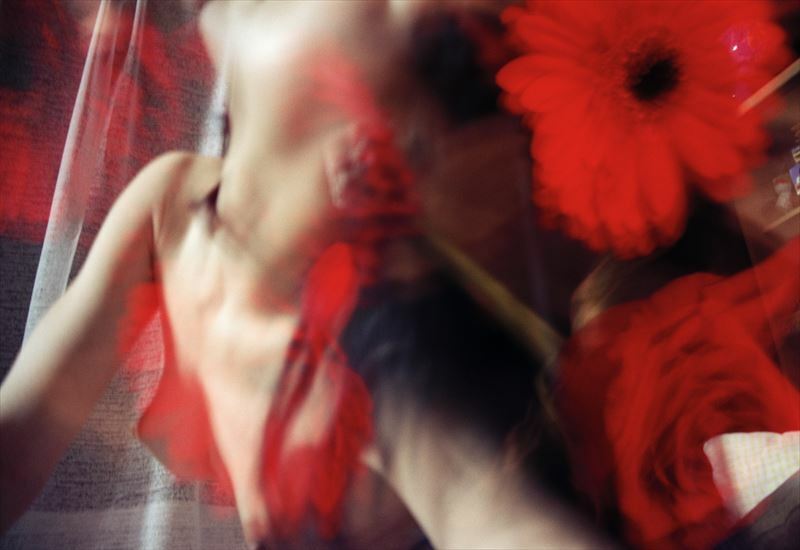 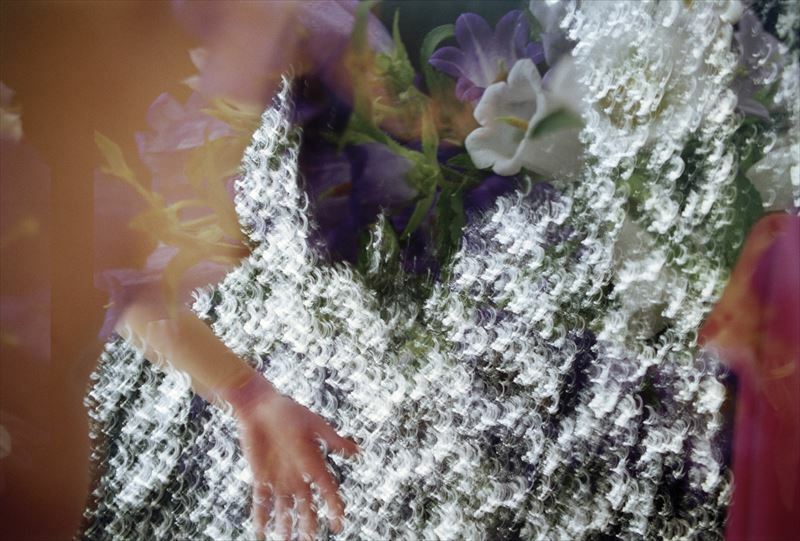 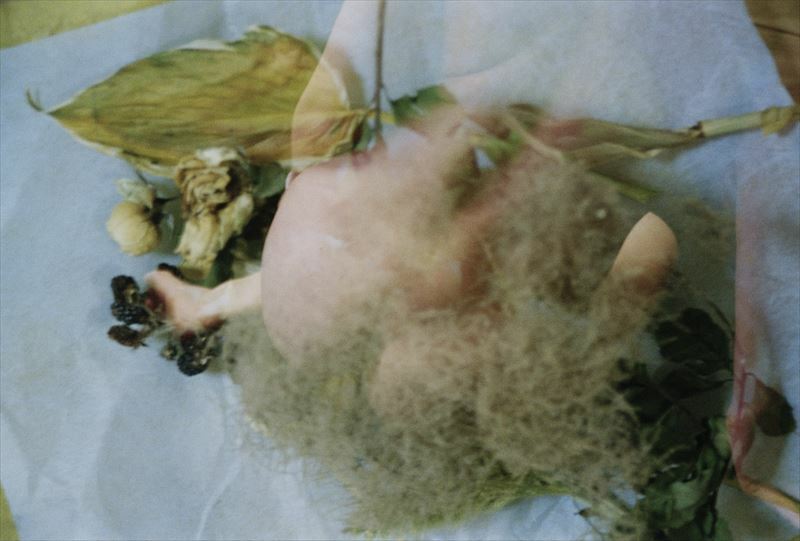 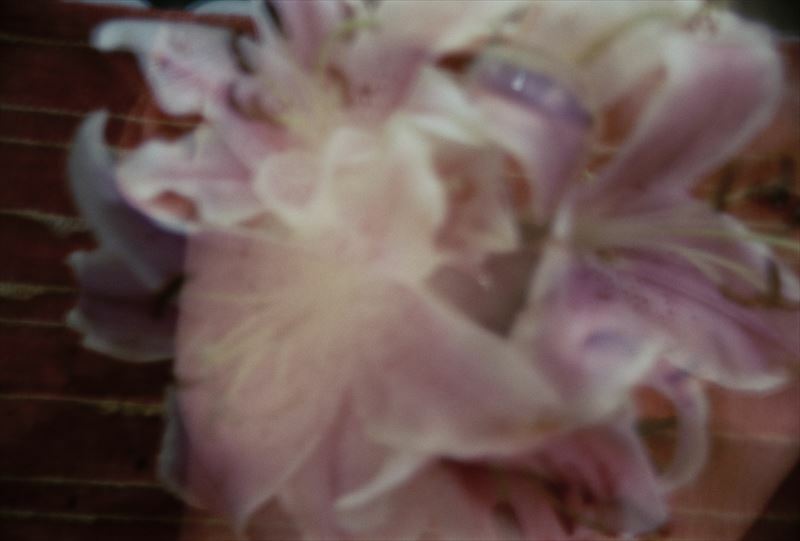 “flower burial”) where we see the artist herself with flowers in layered multi-exposure works. 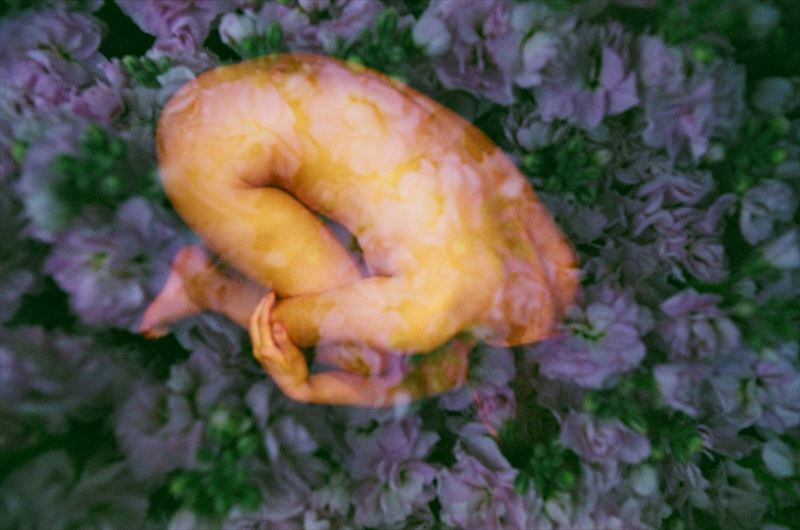 The combined layers of images of herself with the flowers represent the creation of life and rebirth as the artist creates this tale of being born anew.